It was revealed back in October that the highly-anticipated Terminator 6 will start shooting in spring 2018, but now it has been confirmed by Arnold Schwarzenegger that production will begin a bit later. Over the weekend, Schwarzenegger was in Columbus, Ohio for the 30th Anniversary celebration of the bodybuilding event known as The Arnold Classic, where the actor offered an update on Terminator 6, revealing that filming will now begin this summer. Here's what the actor had to say below. "We are starting to shoot Terminator 6 in June to the middle of October, so I am in that. I am looking forward to coming back as the T-800 model. It's gonna be great with Tim Miller as the director and Jim Cameron is kind of supervising the whole thing." Back in September, Paramount handed out a July 26, 2019 release date for Terminator 6, which at the time, made it the only movie opening on that date. Just a few weeks later, though, Universal Pictures handed out a July 26, 2019 release date for their upcoming Fast & Furious Spin-Off starring Dwayne Johnson and Jason Statham. While Paramount has yet to issue a new release date for Terminator 6, there has been speculation that this new production start could lead to the release being pushed to late 2019, which would get Terminator 6 out of the way of this Fast & Furious Spin-Off, and could then also mean that this movie will be promoted at San Diego Comic-Con next year. Arnold's confirmation of the shooting dates comes just a few weeks after rumors claimed that production would be pushed back to either May or June, lasting until November. That report also claimed that filming would take place in Mexico, Budapest, Spain, and the U.K., although Schwarzenegger wouldn't confirm any filming locations in this latest interview. It has previously been confirmed that Arnold Schwarzenegger will reunite with Linda Hamilton, who comes back as Sarah Connor in this movie, which will be a direct sequel to James Cameron's iconic 1991 sequel Terminator 2: Judgment Day, and will reportedly ignore the events of 2003's Terminator 3: Rise of the Machines, 2009's Terminator: Salvation and 2015's Terminator: Genisys. 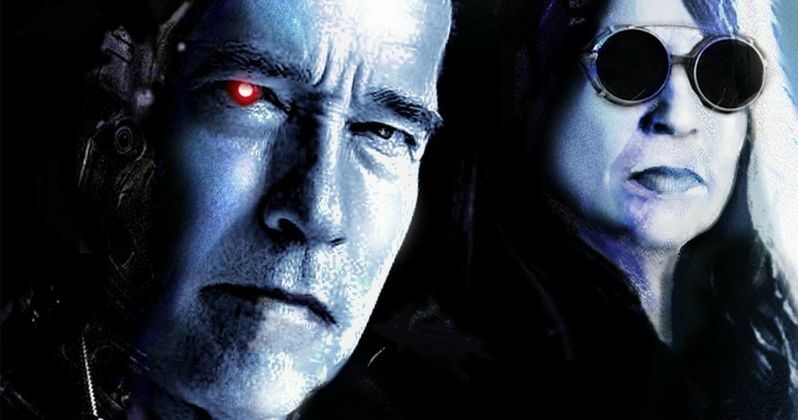 Schwarzenegger has also mentioned in the past that Robert Patrick will not return as the T-1000, even though Patrick has since mentioned that he would love to return and reprise that role as the liquid-metal Terminator. The report from February also revealed unconfirmed details about the movie's new protagonist, a character named Dani Ramos, a woman in her early 20s who hails from Mexico City, Mexico. Dani was brought up in a working-class environment and is said to be more street smart than book smart, with a strong belief in family and the ability to see positivity in any situation. There is no indication as to how this character fits into the story quite yet, or who will be playing her. You can head on over to The Arnold Fans for more from Arnold including news on The Expendables 4, Triplets and more.